Maintaining marble countertops is easier than you think! Marble countertops are some of the most beautiful, timeless, and elegant things that you can add to your home. However, they are not very expensive to install, so protecting your investment is paramount. Maintaining marble countertops is critical to ensuring that they will be gracing your kitchen with their presence for many more years. 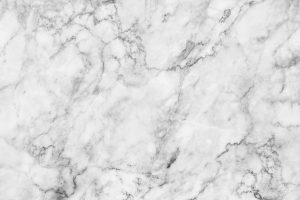 At Rock Tops Fabrication, we know marble countertops, and here are our best tips for maintaining them. Sealing your marble countertops will help to prevent stains from setting rapidly on the surface. Talk with your fabricator at Rock Tops Fabrication about which type of sealant is the best for your marble countertop. How can you tell that it’s time to re-seal your marble countertops? If water doesn’t bead on the surface anymore, it’s a sign that it’s time to re-seal. Protecting your marble countertops is also an important aspect of maintenance. Vinegar, citrus juices, and tomatoes will all etch and damage marble if they sit directly on the surface. When handling your marble countertops, treat them like you would treat a nice wood finish. Always use cutting boards and coasters on top of your countertops and wipe up any spills immediately after they occur, even if your marble countertop is sealed. Never use overly abrasive or acidic cleaners to clean your marble countertops. If there is any loose debris or material on the surface, vacuum it up with a small handheld vacuum or sweep it off. Use soft damp sponges or mops to clean the surface. If you aren’t sure what type of cleaner to use, ask your fabricator or purchase a cleaner that is designed for use on marble countertops. If you are feeling crafty and looking to make your own cleaning blend, use warm water and gentle dish soap in a spray bottle. Use only a tablespoon of dish soap for every spray bottle full of water. Shake the two together gently and spray it onto the counter. Wipe it away with a hot and damp dish cloth and dry it with a towel right after to avoid any staining or damage. The milder the dish soap, the better. This entry was posted on Friday, June 30th, 2017 at 3:30 pm. Both comments and pings are currently closed.